Diplomat International sports medical insurance is our most popular international extreme sports insurance coverage. The reason that this stellar plan is so widely preferred is because of the vast coverage and the low value of premium. This is perfect in many cases for the many international extreme sports people! 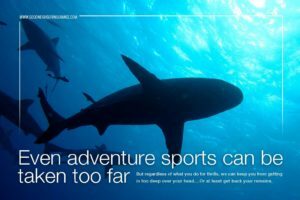 When it comes to doing extreme sports and hazardous activities around the world, international travel health insurance is at the forefront of each traveler’s necessities, or should be at least. When plans are made to leave your home to go running with the bulls, you want to be sure that if you take a bad collision with a bull, you have international medical evacuation coverage and coverage for the medical expenses at the hospital. We don’t want any of our travelers being stuck with a medical bill, especially from the expensive nature of a medical evacuation. Having international travel health insurance is essential in case the unwanted actually happens. People have been financially wiped out, and even family members have had to pitch in together to help loved ones with medical bills and getting their bodies back. The Diplomat International insurance for sports is a solid plan. In fact, there are actually two of these types of sports coverage. There is coverage outside your home country and outside of the U.S. on the Diplomat International. There is also coverage outside of your home country if you are traveling inside the U.S. on the Diplomat America. The benefits are nearly identical. Let me get the information for you! The Diplomat features medical expense coverage from $50,000 up to $1,000,000, Medical Evacuation up to $500,000, Return of Mortal Remains coverage up to $50,000, Accidental Death and Dismemberment up to $25,000 and many more provisions. Anyone who secures this Diplomat protection automatically has coverage for new injuries and new illnesses, such as medical expenses from a car accident or expenses from getting malaria. However, sports coverage can be added through the Athletic Sports & Hazardous Activity Rider. With this rider, all eligible expenses related to the covered sports will be covered up to the maximum limit on the policy. This will cover most types of sports as long as they are not done professionally or as a professional. Professional sports are defined as a sport done for wage, profit, or reward. In addition, many club sports, organized amateur sports, intercollegiate and interscholastic sports have a maximum limit of $20,000. The rider has two categories, and there are three options for each of the categories: Low, Middle, and High. Below are some examples of covered sports for the two categories of the Athletic Sports & Hazardous Activity rider. Not for – club sports, intercollegiate / interscholastic athletics, organized amateur sports: Paragliding, bungee jumping, surfing, mountain climbing, skiing, safari, diving with sharks, heli-skiing, spelunking, whitewater rafting (up to and including class V rapids only) and more. For – club sports, intercollegiate / interscholastic athletics, organized amateur sports ($20,000 limit): Baseball, basketball, ice hockey, football, wrestling, competitive cycling, lacrosse, cross country, rugby and more. This plan overall has excellent coverage for those looking for international medical insurance for most sports. For example, we have many paragliders who travel to Europe and South America for their activities. They secure this Diplomat International medical insurance confident that if they should need to use the benefits, the plan will protect them in whatever ways possible. Other great common sports are mountain climbing and trekking. Many of our guests who go trekking in Nepal use this coverage should they need a medical evacuation to a nearby medical facility. By the way, that brings up the important point of international medical evacuation insurance. The medical evacuation is utilized when there are inadequate medical facilities where you are located, and your medical condition warrants immediate transportation. The company must be contacted, so they can approve of and arrange the medical evacuation. Their team will work with the medical personnel on the ground, and arrange to take you to the nearest adequate medical facility for appropriate medical treatment. Afterwards, if your condition warrants transportation with a qualified medical attendant, you may be taken back to your home country for further treatment or recovery. One of the other gracious benefits is the Emergency Medical Reunion. If you were to have a medical evacuation, the plan will arrange to bring an individual of your choice from your current home country to be at your side while you are hospitalized, and then accompany you during your return to your home country. The benefit is payable up to $50,000 for a round trip economy air fare ticket as well as reasonable travel and accommodation expense to a maximum of ten days. It must be pre-approved and arranged by the plan and assistance company. Overall this Diplomat International and Diplomat America medical coverage is outstanding international travel health insurance. We have many options for health insurance overseas. Please let us know if we can ever help you or one of your friends who may need health insurance overseas. We always endeavor to provide the best most cost effective international medical insurance possible.